In 2011, Hitchcock Deli opened next door to the restaurant, offering guests a robust selection of house-cured and smoked meats, house-made condiments, sandwiches, salads, soups, and grain/vegetable dishes along with coffee, beer and wine. For more information visit www.hitchcockdeli.com. 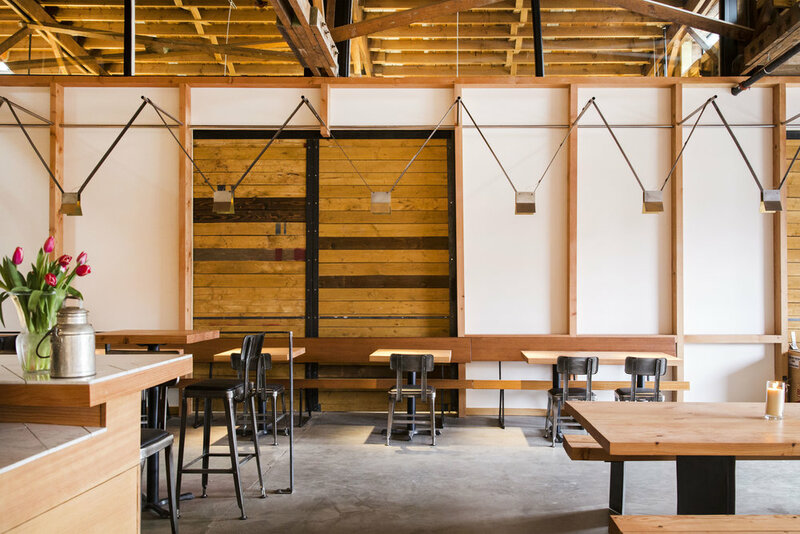 Opened in January of 2017, chef Brendan McGill’s Bruciato is situated in the renovated Winslow Hardware building on Bainbridge Island. The gorgeous and airy space is a realization of a longtime pop-up at Hitchcock, McGill’s first restaurant. McGill is dedicated to the tradition of wood-fired Neapolitan pizza with creative wood-fired seafood dishes, salads, and antipasti rounding out the menu. The bar is Italian spirits focused, and offers Peroni on tap, plus a thoughtfully curated selection of wine. For more information visit www.pizzeriabruciato.com. Completing the trio on Winslow Way, Bar Hitchcock joins Hitchcock and Hitchcock Deli as an all-day café/bar, truly a “third place” where guests are welcome to join us any time, day or night, to eat and drink without pretension. The bar offers coffee and pastry in the morning, the full Hitchcock Deli menu for lunch until 4, then a menu of bar food that is designed to share. For more information, visit www.hitchcock.bar. 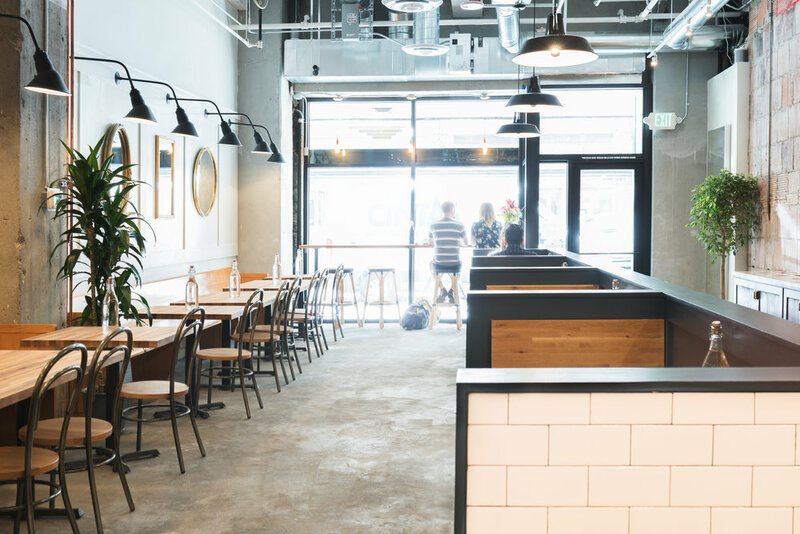 Opened in April of 2017 by chef Brendan McGill, Café Hitchcock is an all-day cafe situated between Downtown and Pioneer Square in Seattle. Menu offerings include breakfast, lunch, happy hour and dinner Monday through Friday. Coffee is served all day as well as a curated list of glass pours, cocktails and beer. For more information visit www.cafehitchcock.com. While a tremendous amount of our food comes from our fabulous farmer/partners, we leased a four acre property on beautiful Bainbridge Island and have developed our own gardens and orchard, with a more experimental focus. In 2016 we partnered with Farmer Kevin Block, bringing his wealth of experience, more property, and our own passel of Mangalitsa hogs.